This building at 1316-1318 Wharf Street and the adjacent building at 1314 Wharf Street were built circa 1860, and possibly earlier, making them among the earliest surviving commercial buildings in Victoria. 1316-1318 Wharf Street and 1314 Wharf Street were listed on the Canadian Register of Historic Places in 1975. 1316-1318 Wharf Street, built circa 1860 or possibly earlier. One of the earliest surviving commercial buildings in Victoria. 1314 Wharf Street, built circa 1860 or possibly earlier. Along with the adjacent building at 1316-1318 Wharf Street it is one of the earliest surviving commercial buildings in Victoria. For the last five decades both 1316-1318 Wharf Street and 1314 Wharf Street were owned by a Victoria resident who left the buildings empty and allowed the buildings to become virtually derelict. The same owner also owned the Janion and allowed similar deterioration to happen with that building. 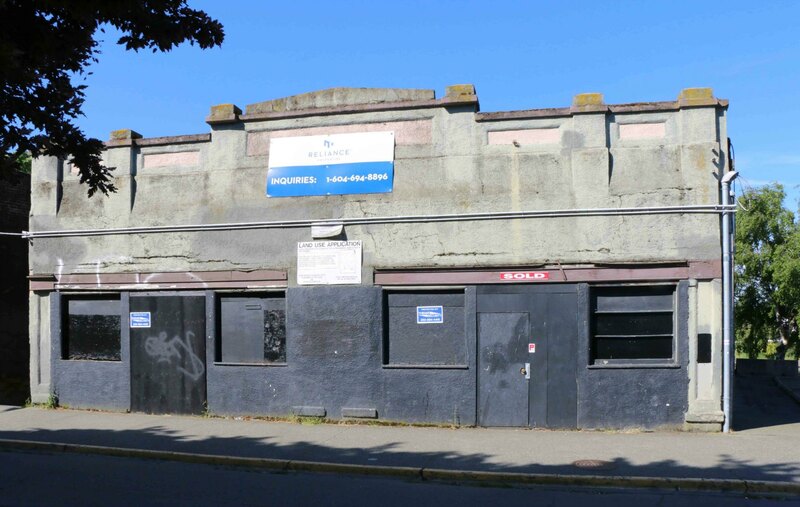 Both 1314 Wharf Street and 1316-1318 Wharf Street have recently been sold and are currently the subject of a Land Use Application to the City of Victoria.